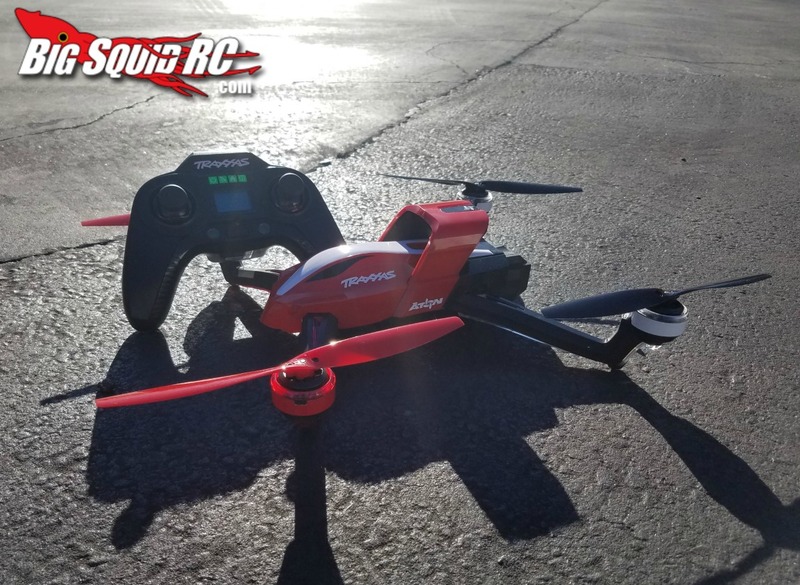 The Traxxas Aton Review « Big Squid RC – RC Car and Truck News, Reviews, Videos, and More! Intro: The Traxxas Aton, made by bashers, for bashers. 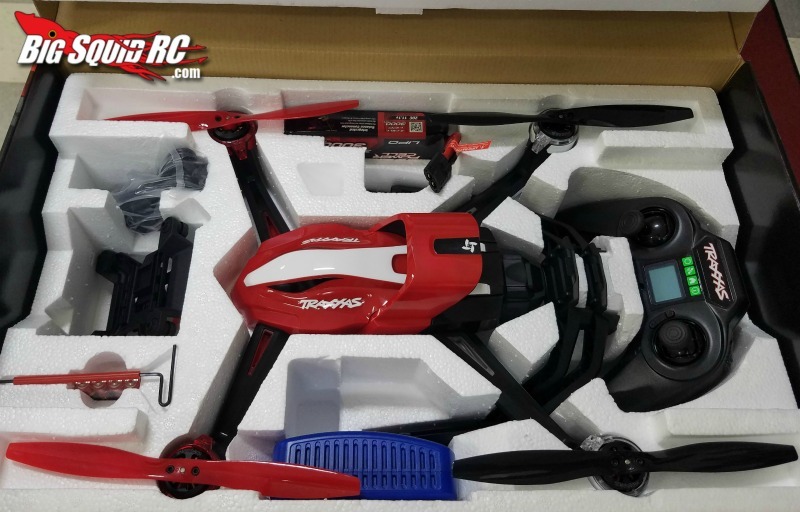 I know what you’re thinking- Traxxas made a drone besides the Alias? Why yes they did. Come join me while I break it down and build it back up again, just like any good basher would do. Film Mode: This mode is extremely easy to fly in. Perfect for newcomers and for filming. Sport Mode: For when you get brave and want full access to throttle rates and the stunt button. Expert Mode: Let go of the reins and unleash the beast. Full access to throttle rates, and the gyro is completely turned off. Airbrakes: On the Traxxas transmitter the Airbrake is on the right bumper (the button on the very top right of the controller). This feature allows you to initiate a GPS stabilized hover while in Sport or Expert flight mode. This means if you’ve lost orientation while upside down in expert mode, you can hold down the Airbrake button and the Aton will auto stabilize and hold a stable position for as long as the button is held down. Once you release the button, you gain full control again. 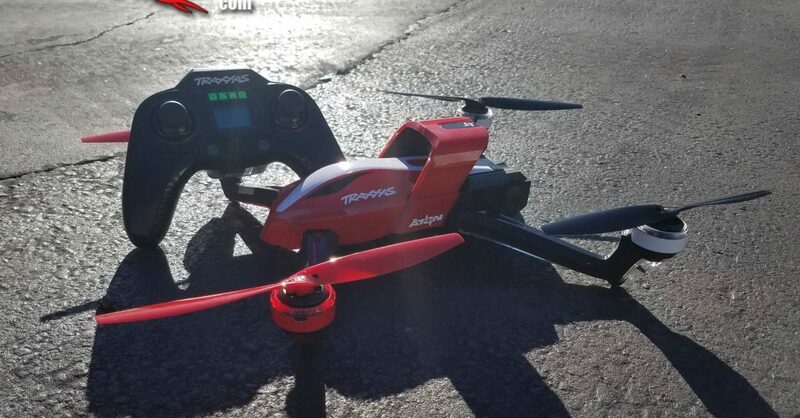 Traxxas Flight Link App: This app is available on IOS or Android and allows you to adjust all sorts of features on your Aton. You can adjust the geo-fence, return to home height, and your individual rates for each flight mode. Primary Competition: The amazing thing about the Aton is that it’s in a league of its own. This beast can compete with basic camera platforms, such as the DJI Phantom and Yuneec Q500, as long as you have a GoPro Hero. Where the Aton really stands out is with its incredible power and acrobatic abilities. Needed To Complete: Everything you need to get the Aton in the air is in the box. Build Quality: After extensive crash testing…. I didn’t break a single thing. Although, whether or not you break something really depends on HOW you crash. The front blades did receive some respectable stress marks- a sign to replace them. At one point, I even bent a prop at a 90 degree angle. I bent it back, and the quad still flew reasonably well. Test Venues: A cornfield in Illinois, a middle school track, and a small front yard. 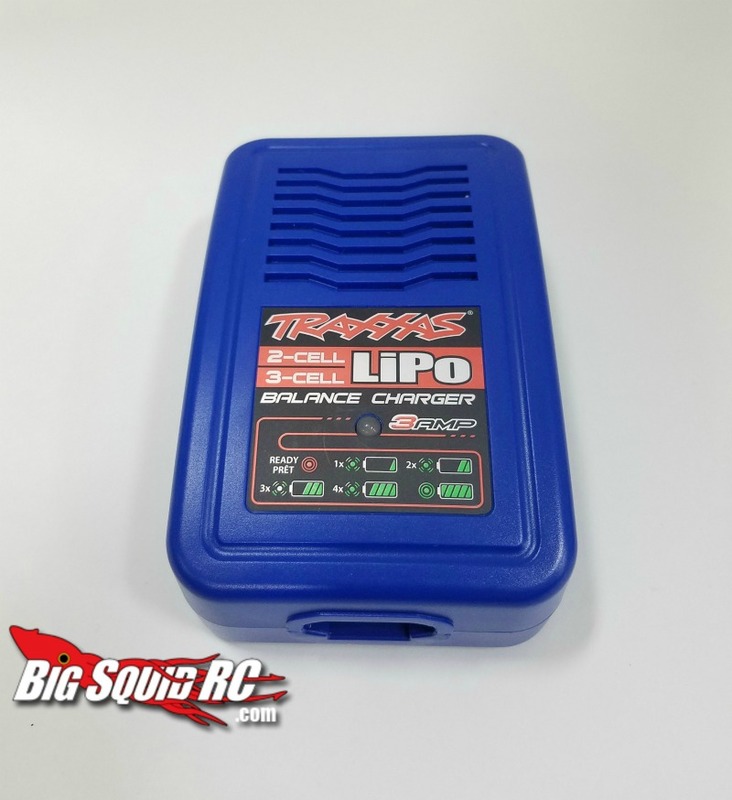 Set-up Notes: I ran the Aton with the stock 3000mah 11.1v Traxxas ID battery but eventually went with the 5000mah battery for maximum runtime. Maneuverability: This thing will pretty much handle however you want it to. On Film mode, it’ll handle like a bus. Whereas, on Expert mode, it will handle like a Ferrari. Bumps/Whoops: When taking a heavy impact the Aton cuts off all power to the motors which really prevents a lot of serious breaks. Though the first crash was on purpose, and was done at a crawling speed, the subsequent crashes were not on purpose. On the second crash, I lost orientation while upside down and being the genius that I am full throttled it into the ground. Not a single thing broke. As I mentioned earlier the front props had a few stress marks on them but other than that the Aton was intact. Traxxas really outdid themselves with this build on durability. 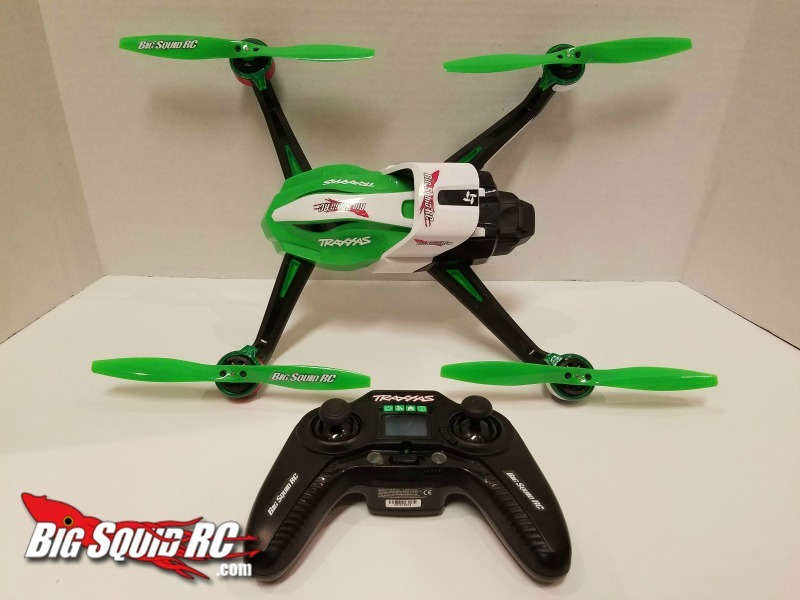 I figured since the majority of the construction was plastic it wouldn’t be nearly as strong as my carbon fiber racing quad, but it comes pretty close. Windy Weather: No matter what mode you are in, the Aton isn’t going to care very much about the wind, until the wind reaches storm speeds. I usually fly in Illinois which has more flat land than Missouri. With flat land, you get a lot of wind. The Aton handles the wind like it is barely even there. Stunts: With Sport Mode engaged, you can hold the stunt button and point the directional stick in any direction, and the Aton will perform a stunt in that direction. Manuel stunts, such as half flips, can only be performed in Expert Mode. Okay.. this thing isn’t exactly a professional racing quad, but it will do many of the stunts that a racer can do. 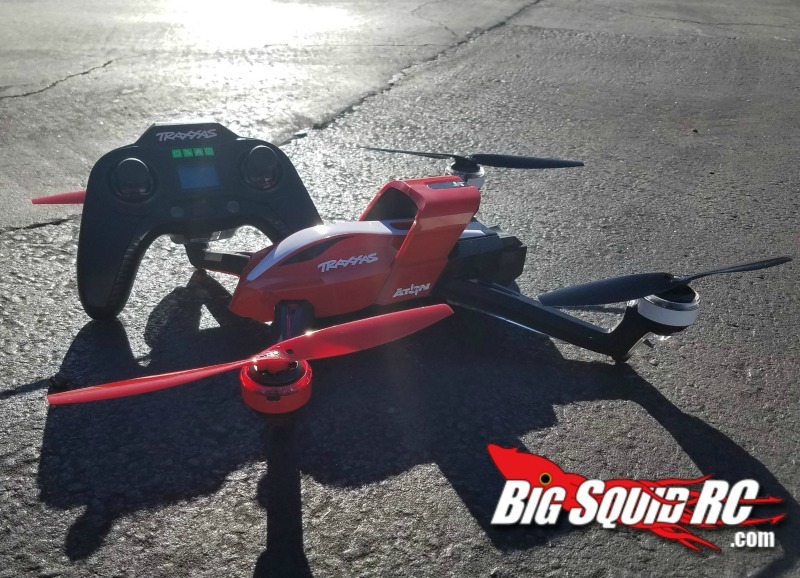 With its size and extra features, you also get a heavier quad. 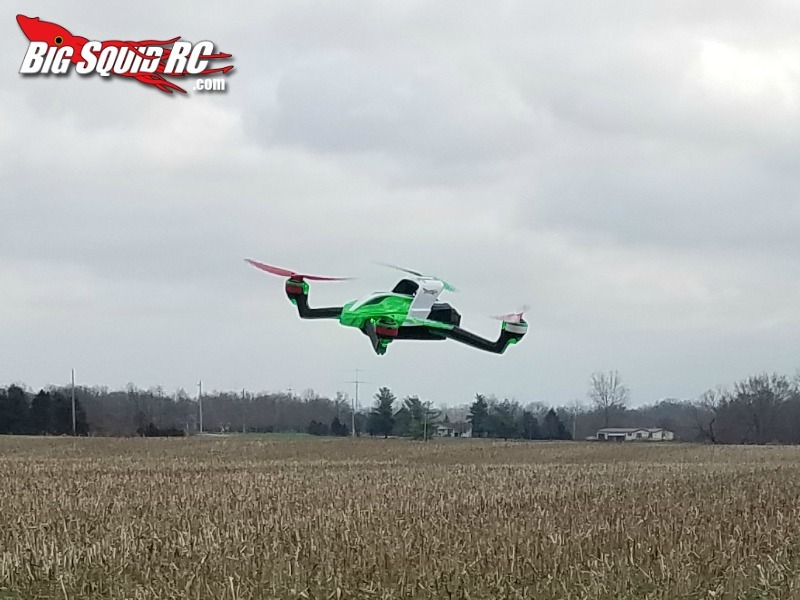 This means that it takes a little more time and power to perform the same stunt that a 250 racer could do, even with the expert rates turned up to 100% on the Traxxas Flight Link App. This extra weight and slower performance could be used as a tool to learn new tricks. 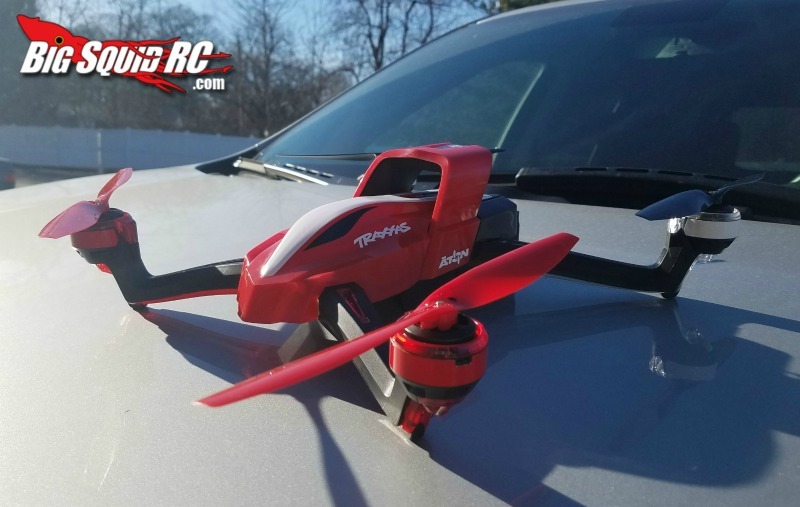 With the Aton’s Airbrake feature, it is a lot less nerve racking to try out a new trick. Practicality: Recreational. 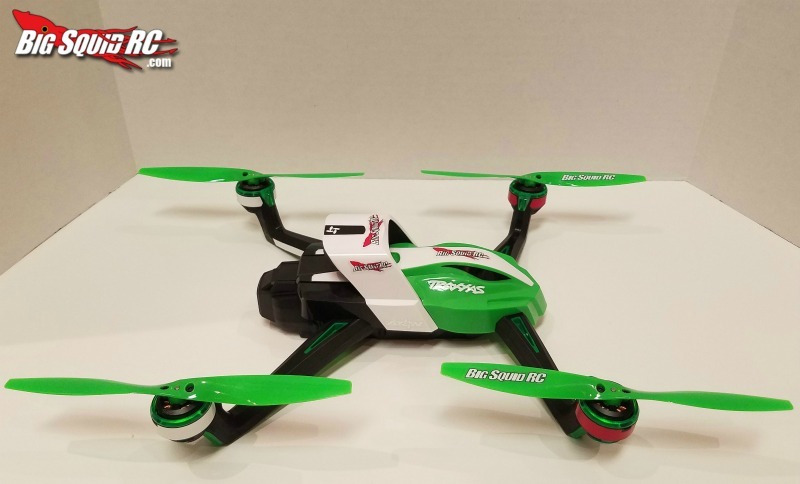 You’re not going to be racing this quad in a professional race, and you’re most likely not going to be using the Aton as a commercial photography drone. Power: For a drone that was originally marketed to compete with the DJI Phantom and Yuneec Q500, it is incredibly powerful. Going from Film Mode to Sport Mode, the throttle punch-out can easily take you by surprise. Don’t get to throttle-happy with this one, boys and girls, because you can lose sight of it pretty quick. Radio: This thing is pretty cool. I’m used to traditional aircraft transmitters, so when I first saw the Aton’s radio I thought that it looked pretty cheap. I realize now that it was designed for a gamer’s hands. The overall design of the radio makes it feel more natural- like you’re playing a game on your video game console. Broken Parts: Buy an extra main-frame and a couple sets of props. The props mainly just bend and get stress marks on them. 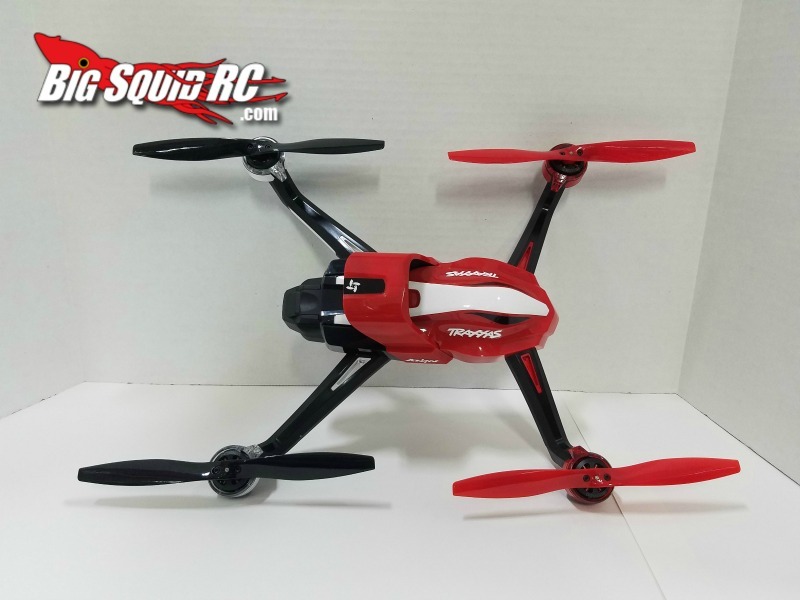 The props can be bent back, but after a few good crashes you’re going to want to change them. I suggest buying a spare main-frame because the self-threading screws that hold on the bottom led covers like to strip out of the body on a hard crash. This isn’t a huge deal until your receiver wires pop out from under the LED cover. Almost every R/C enthusiast knows what happens when you shave off a receiver antenna (Your range goes out the window). 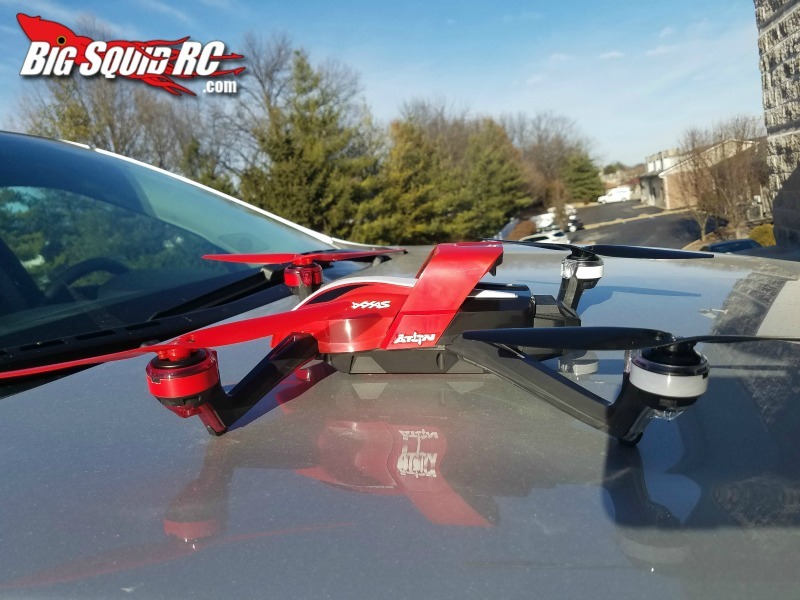 So I would suggest keeping an extra frame on hand so you can keep those antennas safe. The Airbrake system works very well if you decide to push it right away. If you decide to try to save it yourself and then later try to use the Airbrake, there’s a good chance that it’s too late. The Flight Link App is a great tool to get the most out of your Aton, but be careful. We all know the saying, “With great power comes great responsibility”. Well that holds true in this case. If you set your Film Mode max speed to 2mph and there’s more than 2mph of wind outside, you will find it very difficult to fly. When a prop gets bent up or down, you can usually just bend it back and keep flying. 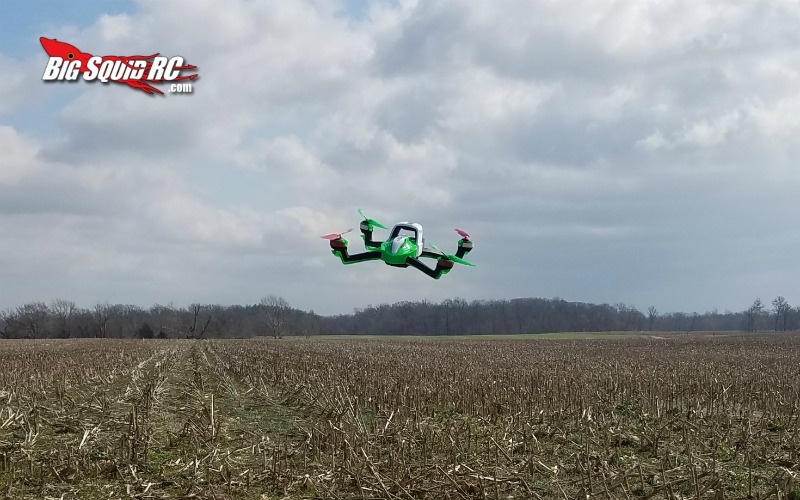 It won’t perform quite as well but it’s a good way to get some more like out of your props without having to leave the field and run up to your local hobby shop. When you crash out in a field, forest, or whatever, it can be hard to find. In this event hold the directional stick into the bottom right-hand corner. The Aton will start emitting a beeping noise that will make it much easier for you to find. Best Mod Under $5: A new set of rear LED lenses. The stock clear covers don’t give you much distinction between front and rear at a distance. Best Mod Over $5: Get the 5000MaH upgrade battery. You won’t regret having your flight time extended to almost 30 minutes. Time To Bash: B The time it takes to charge a battery and fly is minimal, and very straight forward, but it can take a little time to learn what all the buttons do on the transmitter. Workability: B The Aton can be taken apart with just the single 2mm hex driver that’s included in the box. I was able to change all of my blades and LED covers in under 10 minutes. Quad Show Rating: A Holy-bananas, this thing is sharp. The sleek design and flow of the Aton makes it look mean as all get-out. Don’t like the red and black scheme? 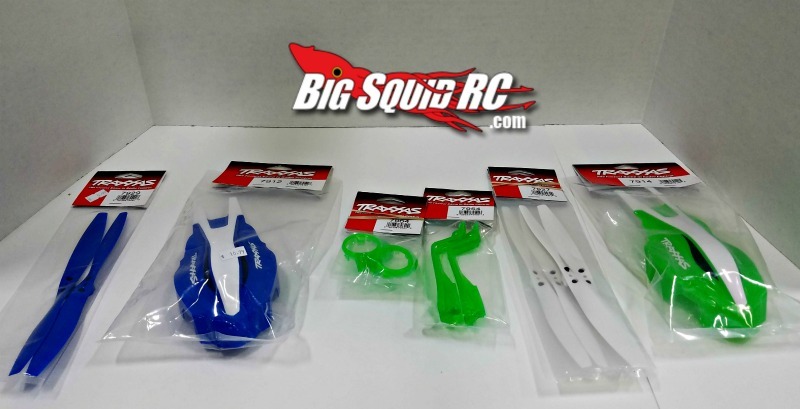 Guess what, you can change it to your preference with Traxxas’ line of optional color accessories. Bash-A-Bility: B I’ve probably crashed this thing like 20 times now all at very high rates of speed. This is a very good quad for bashers. Fun Factor: A Beautiful day outside? Fly. Windy day outside? Fly. Didn’t get off until late at night? Fly. 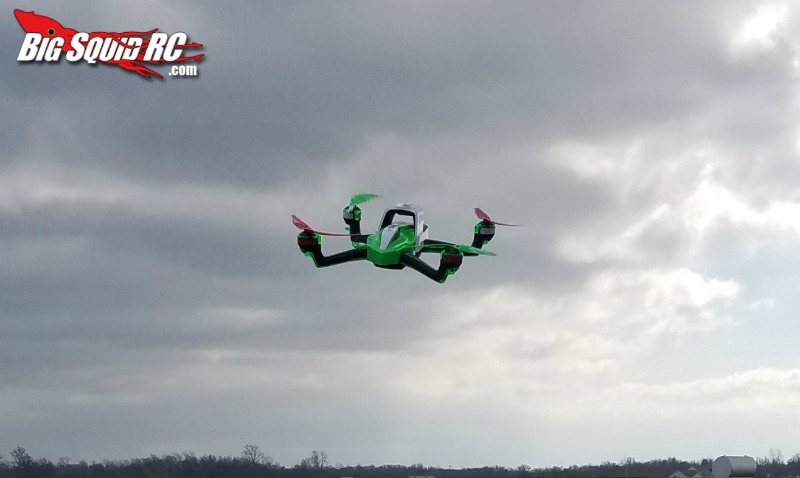 The Aton doesn’t care when or where you fly it as long as it’s not wet. Have an absolute blast anytime of the day. Just remember to know before you fly. Visit this link to find more information about un-maned aircraft system regulations. Handling: B I was fairly impressed with the handling and response time of the Aton. 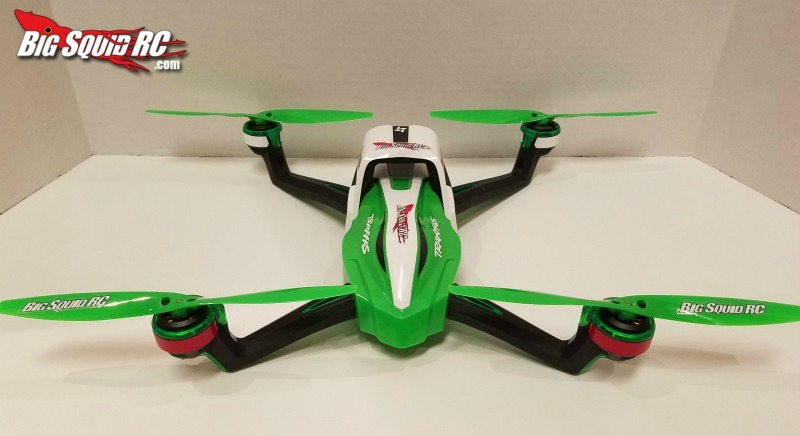 It’s a little sloppy, and I can feel when the plastic frame flexes when turning at a high rate of speed, but that flexibility also attributes to its durability. Value: A The original street price of the Aton was $399 which was a bit of a stretch. Fairly recently the price dropped down to $299. 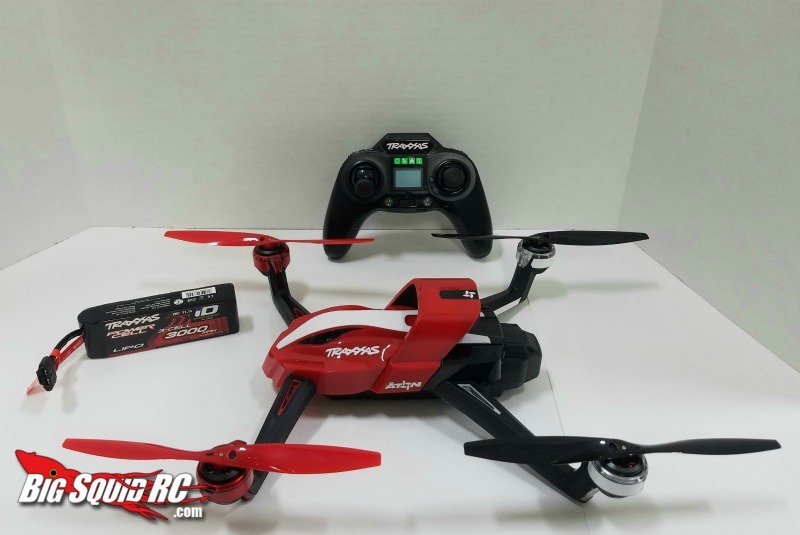 This made the Aton very affordable and great for the price. Parts Availability: A Two out of the three local hobby shops in my area have good parts support for the Aton. The only things you might need to buy such as batteries, chargers, props, and mainframes were all available on hand in those two shops. BigSquid Rating: A As bashers, we all came from cars. 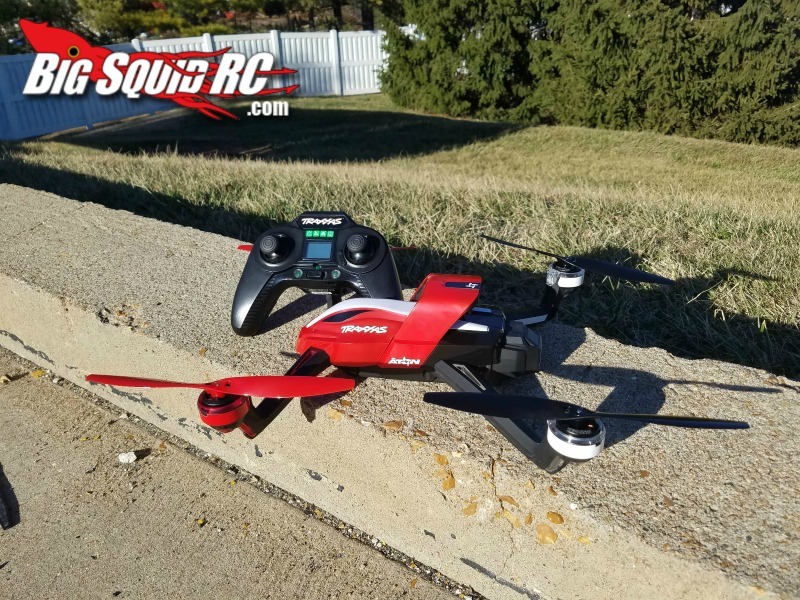 The Aton makes the transition into drones very easy. It’s the perfect edition to your bashing bag.